Losing our hair is something which many people find distressing. The simple truth of the matter is that having long, luscious locks often makes us feel more confident and attractive. There will always be those who embrace baldness wholeheartedly but, for a number of us, we’d prefer to retain a full head of hair throughout our lives. This is why hair transplants are such a popular option in today’s world – but it’s not just everyday people who are fans of the procedure. Many celebrities are also getting in on the act. If you’re suffering from hair loss then perhaps it’s time you got with the times and researched hair transplants. Here we look at some of the famous heads which have gone through the procedure before you … and come out smiling on the other end. Manchester United superstar Wayne Rooney is not unfamiliar with public attention. His activities on football pitches mean he’s often headline news but he recently made a name for himself by having a hair transplant. British TV comedy partnership Ant and Dec have been the stars of numerous TV shows during the years. From their early days as characters in BBC’s Biker Grove to hosts of popular Saturday night TV shows including X Factor, Britain’s Got Talent and I’m A Celebrity Get Me Out Of Here! As they’ve aged, certain changes have obviously occurred – one of which is Dec’s thinning hair. According to a report in The Mirror, Declan owes the renewed growth of his hair to stimulating pills rather than transplants. Tough-talking chef Gordon Ramsay isn’t one to mince his words so it might come as a surprise to learn that he’s had a hair transplant. Yet, it is thought that Ramsay had the same hair transplant procedure as Wayne Rooney. Any attempt he might have made to keep his procedure under wraps were foiled when he was caught leaving the clinic amidst rumours that he had suffered an allergic reaction to the anaesthetic used. Although this is a risk of the procedure – as with any operation or medical treatment – it is very rare. A tough judge who could even teach Simon Cowell a thing or two, Jason Gardner has become a household name after his appearances on the judging panel of ITV’s Dancing on Ice and later for his involvement with the This Morning show – also on ITV. Although Jason was snapped as sporting thinning hair during his time on TV, he went to great lengths to correct it and now sports a full head of hair thanks to a hair transplant. Though to have cost £30,000, the 40-year-old TV personality was delighted with the results and proves that hair transplants are a viable option for those with thinning hair, whatever their age. 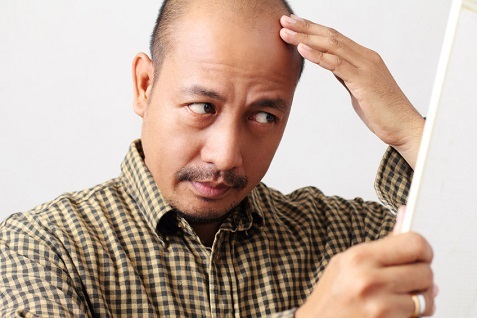 The Balding Blues: Will Hair Loss Become a Thing of the Past?